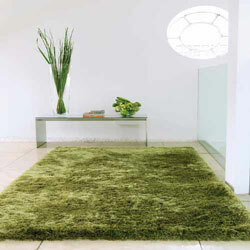 Whispering sparkle rugs are made from soft micro fibre yarn which is thick and luxurious in texture. The yarn is made from polyester which is very fine and comfy under foot. Whispering rugs are made in China and can be bespoke to your required size.